One could write a book about the effects that globalization has had on a variety of markets, cultures and entire countries. That's not really what we're going for today though. Instead, let's look at just how much you depend upon a complex international system to run flawlessly to provide the latest technology to you in a timely manner. There are a few basic and contradictory ideas that dominate any discussion about business. First, is that efficiency reigns supreme. You do labor where it's available cheaply, use equipment where it's available cheaply and get your raw materials from cheap providers. This keeps costs low and the business strong. Second, is that going abroad to seek out said savings will greatly weaken a company, and the industry as a whole. The larger you make a chain, the more vulnerable it is to failure. There are great tradeoffs in any decision. For the average consumer, some of these tradeoffs could become very apparent with just a little change. It's not a huge secret that there's a bit of a problem with rare earth metals. Rare earth metals, which are not actually that rare (the group was named a few centuries ago before anyone knew better), are effectively a magic metal. Without spending a few pages on their very useful properties, just note that they're used in just about anything that we consider cool electronics. Handheld devices, hybrid cars, wind turbines, just about anything that's fairly innovative makes use of them. They have a lot of neat little properties that make devices work better, but they are particularly prized for their easy use as magnets. In recent years, they've been vital in efforts to shrink technology down into more portable forms, which is obviously a fairly important thing. The problem is that China absolutely dominates the market. It's tricky to put a precise number on it, but China is estimated to run at least 95% of current mining operations in the world. What does this mean for you? Well, if China is hit by an earthquake, trade will be disrupted. If there's a new set of labor protests, trade will be disrupted. If the US manages to draw China's anger and trigger a trade war, then yes, trade will be disrupted. And this means that our access to technological products at reasonable prices will be effected. This is a real problem too. China is already throwing its weight around a little bit. They already used their rare earth metals as a bargaining chip in a short trade war and briefly placed an embargo on exports to Japan. And they've been cutting back on general exports recently with an apparent interest in improving their own reserves. In the long run it's not a code red. There are other rare earth mineral deposits, including several located in the United States. China is the only key player at the moment because it was such a cheap supplier that it drove all the other mines to close. The market corrects, naturally. New mines are scheduled to open, new deposits are being located and recycling programs are popping up. Japan even instituted an "urban mining" program to recover materials that could be easily recycled. The market only works in the long run though. In the short-term, optimistic estimates state that new mines will take five years to set up (it's a real pain to mine rare earth mineral deposits) and until then we'll be digging through landfills to cannibalize old phones if there's a big enough disruption in China. This is probably one of the easier points to make. I assume that most of the readers are aware of the flood that recently hit Thailand. If you weren't aware of it, then just note that Thailand has suffered some fairly absurd levels of flooding during the last few months. While the humanitarian toll is the true tragedy, there was another unexpected effect on the rest of the world. 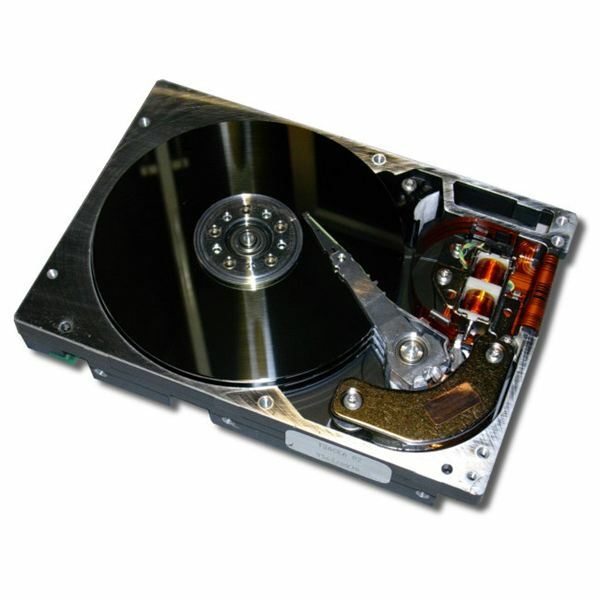 Thailand was a major supplier of hard drives (providing nearly 45% of the world's supply). A large number of facilities are now flooded and badly damaged, which means that there's a shortage. For a more detailed look at the situation, we have a write-up on the Thailand flood's effect on hard drive prices. Again, in the long run, the market will correct. New factories will open, old ones will be repaired, etc. In the short-term, this means that we're all going to be paying a more for hard drives for at least the next six months. This is an endemic problem across all technology manufacturing. Suppliers are fairly concentrated, usually because it costs a lot to open these huge facilities full of incredibly complicated equipment. Semiconductors are another vital part for most computers and electronics. The two biggest suppliers (TMSC and UMC) are both based out of Taiwan, with several fabrication plants located in the country. There are other suppliers available, but it's the same problem as before. It takes a long time for adjustments to be made. One nasty storm or strike could shutdown a vital part of the process, and there's no option available but to slowly repair it once it happens. Let's stop and take a moment to remember what has happened with oil. Crude oil is also a product with a lot of demand, it's expensive to refine into useful goods and producers are located around the world. Now, look at what happened around 1979, as Iran suffered a revolution and its oil supply become unstable. Even with other producers stepping in and ensuring only a 4% fall in supply, crude oil prices went up 250%. In a high demand industry, for a very useful product that's a pain to get, a minor disruption can cause a very large impact. And it's not limited to just hypothetical disasters either. Some companies are just waiting for their breakdown. The ever popular Foxconn has a finger in a lot of pots. They're quite well-known for their role in assembling iPhones and iPads as well as Amazon's competing Kindle Fire, but they also make the Kinect for Microsoft and other products for giants like Dell, Hewlett-Packard, Sony, etc. Foxconn are notorious for having poor labor conditions (any company that has to put in anti-suicide nets to prevent workers from leaping to their deaths needs to rethink their corporate culture). This is a labor crisis waiting to happen. To clarify, the majority of our tech giants are dependent on Foxconn being able to continue their practices for the forseeable future. Since even heavily oppressed Chinese workers have started carrying out strikes against Foxconn and similar manufacturers, this, even if one puts aside humanitarian concerns, seems like a risk-fraught assumption. We've come to rely upon affordable technology being at our fingertips. The power that the average person can literally hold in their hand for a few hundred dollars is astounding. But these advances really on an international and highly interdependent network of manufacturing infrastructures. That net isn't very strong though. Any link or strand can easily be destroyed, and have effects that are felt across the world. Unlike the Internet we are all used to and enjoy, it isn't an instantly robust system where traffic that can't get through one way automatically goes through another way. A flood in Thailand means that computer prices are going up everywhere. If Foxconn's employees can manage a lasting strike or significant act of sabotage, any number of the most desired products of the western world could be unavailable for weeks and unusually expensive for months. If anything upsets the tinderbox in China, like a generation of education and Internet savvy youth deciding the pace of social reforms needs to accelerate dramatically, then technology will basically freeze for a few years as we scramble to provide our own rare earth metals. When gathering raw materials or turning them into any one of many delightful gadgets, there aren't many businesses setting up lots of excess supply for fun. Unused semiconductor fabrication lines are an open arterial wound to a chip foundry's income. If it's there, it's because it's needed. That means losing even one plant is a very bad thing. The burden is shifted to others, which means a shortage and higher prices. We've come to depend so heavily on cheap foreign imports, and therefore spread the production chain out so much, that we're effectively at the mercy of hundreds of unseen forces that could upset the ship for a long time.